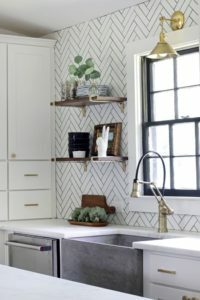 Whether your style is traditional, transitional, contemporary or eclectic, don’t shy away from adding style to your home with tile or you will miss out on the wonderful design elements that bring interest and flair to your next kitchen refresh or renovation. Tile and tile accents add character to any room and tile is a strong, hygienic surface that is at home in any kitchen. From a calm and cohesive white to bold patterns, and everything in between. Tile is strong, beautiful and available in a wide variety of styles, colors and textures. 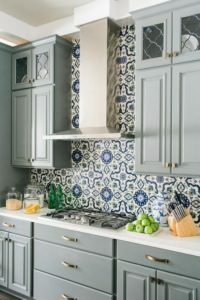 Decorative tiles can create a stunning kitchen focal point. Here’s some inspiration for your new tile backsplash! A tile’s ability to repel water and stains makes it a hygienic and manageable surface area. Earth First uses low or no VOC grouts of a quality that provides you with the additional benefits of stain and mildew resistance. 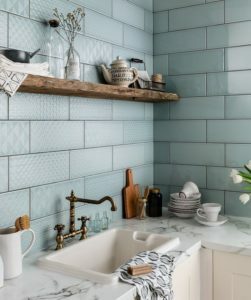 Larger tiles require less grouting, however smaller tiles can add an artistic feature to the room, just be mindful that the extra grout will require regular cleaning. 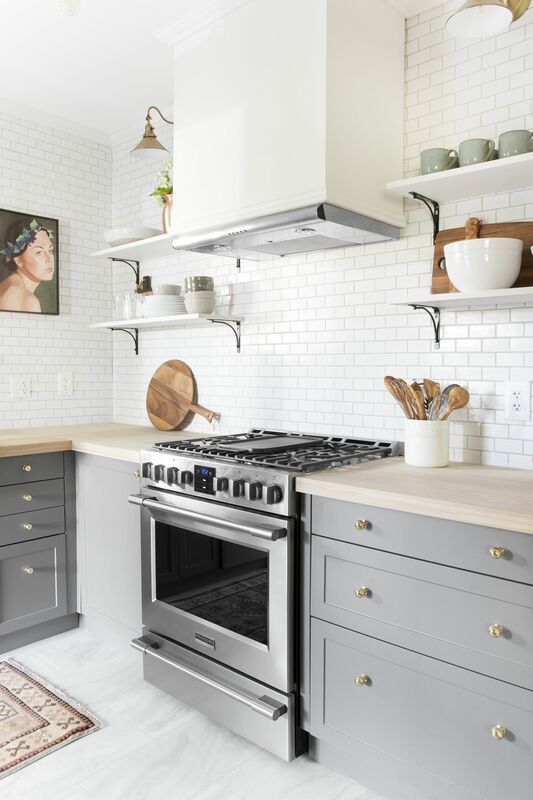 Tiles are a low-maintenance product, and can often be cleaned using a natural cleaning agent such as vinegar mixed with water. Avoid using abrasive cleaners or polishes and instead opt for a mild detergent or household cleaner. Use a sponge to apply cleaner to the tiles, then wipe down before it dries. With some routine maintenance your tile will be beautiful and durable for many years to come.